This is typically for 2 different reasons. 2. This can also be because the drive is still undergoing the encryption process. You must wait until the drive is fully encrypted before you can execute this task sequence from windows. NOTE: it is possible you receive this error when you are trying to stage the boot image onto the disk and the disk cannot be read b/c of a different encryption software locks the disk. For example if you are running Dell Credant you must be logged into the system then the TS Engine will be able to read the disk. For this we corrected the issue is to open PowerShell and running the following. I would also recommend opening registry location to verify this has successfully been deleted. 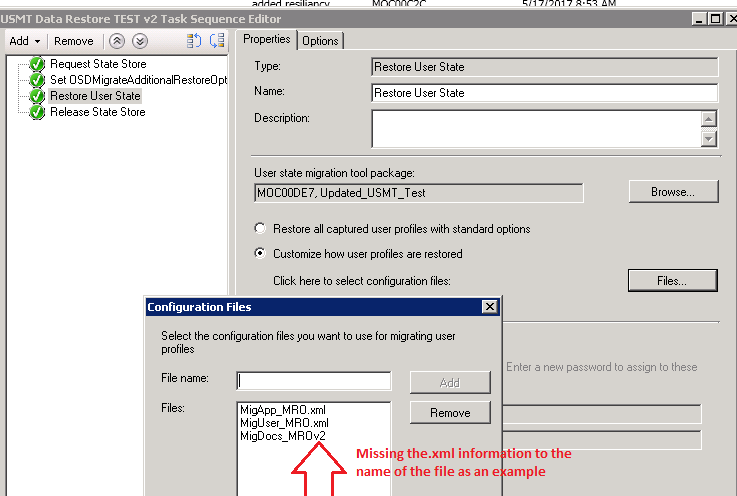 Once this runs successfully you should then be able to re-run the task sequence successfully. of course there is the standard make sure your commands are typed correctly. In the example below we see a file not found error. Make sure you type out your file names correctly etc. Make sure when you being your deployment strategy that you plan for an adequate number of connections to the SMP. The default for this I believe is 100 connections, but that does not mean concurrent connections. The criteria that goes into the count is any established connection (completed or in progress) within the your deletion policy time period. 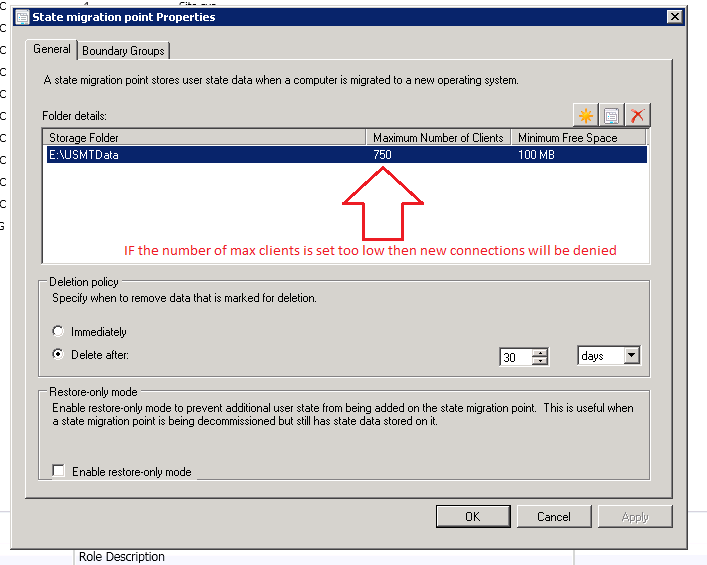 If you have a problem where the connection is actively refused by the SMP you should increase the max allowed connections you have configured. I tried to create as many Potential USMT Errors as I could think of to help out the community. If I encounter anymore or can think of new ones I will add them to this blogpost. 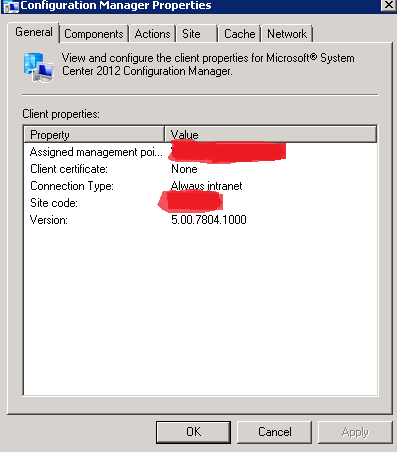 I ran into an issue where a few sites would call my SCCM team indicating they were having client problems. They would say the clients do not have all action items and it has been over 2 hours since the system finished the OSD Process. I had a few initial thoughts but they all were wrong. First we verified that VMware tools on the MP was fine, boundaries were correct, and that the client was not stuck in provisioning mode. The next course of action was to connect to a machine, investigate the bad client and start checking log files. The SCCM Client looked as below with certificate set to none as you can see below instead of self-signed. This points out the client has not yet registered with the MP. The next was to investigate the ClientIDManagerStartup.log which showed the error “Server Rejected registration Request: 3” This gave me the idea of clearing out the certs and trying to reinstall the client again. however this produced another GUID with the same error problem so the pointed me to check log files on the MP. This was quickly becoming a high exposure problem was our environment images anywhere between 25 – 175 machines a day. After a quick google search we were able to find a blog post where the solution was a few simple SQL lines. Our team has several decades of systems management and configmgr experience. We can easily identify potential problems within your SCCM infrastructure as well as help you to create a more efficient environment. Please check out our consulting page for more information on our hourly packages and retainer services. 2019 © SSCMF12TWICE , All rights reserved.